The real-time estimation of sensorless planar robot contact information is a very important but also difficult subject in human-robot interaction. This paper proposes a method for the real-time estimation of contact location and contact force along a planar joint robot manipulator without using external sensory systems. A momentum-based method is used to estimate external joint torques due to the contact force and to determine a minimum contact range firstly. A nonlinear constrained optimization algorithm is presented to search the contact point. The contact force is calculated by dynamics. 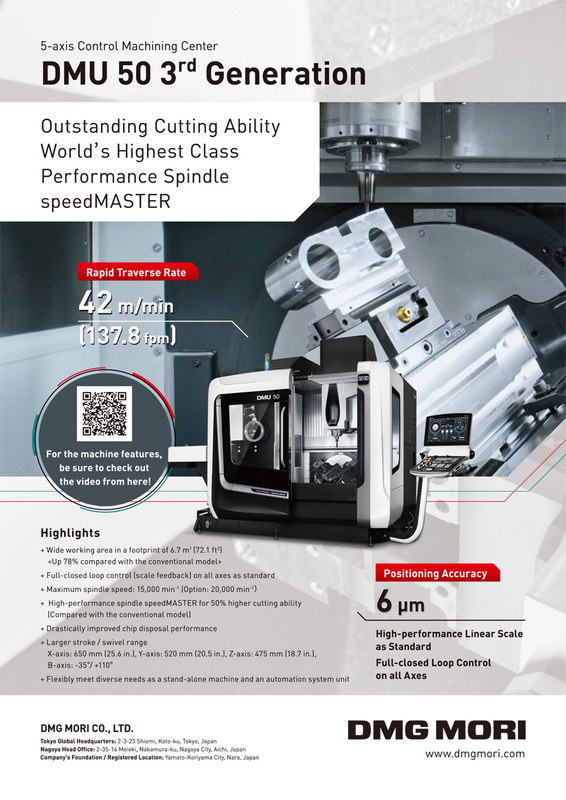 The searching space determined by the momentum-based approach is limited within the length range of the contact arm, so the solution speed of the optimization algorithm is high. The proposed method of combining observation algorithm and optimization algorithm transforms a complex detection problem of the any contact point on the robot body into a simple one-dimensional optimization solution with simple bound. The effectiveness of the proposed approach is validated through simulations and experimental results for the planar robot manipulator. Z. Liu, F. Yu, L. Zhang, and T. Li, “Real-Time Estimation of Sensorless Planar Robot Contact Information,” J. Robot. Mechatron., Vol.29, No.3, pp. 557-565, 2017. A. D. Luca and F. Flacco, “Collision avoidance, detection, reaction and collaboration,” Proc. of the IEEE/RAS-EMBS Int. Conf. on Biomedical Robotics and Biomechatronics, pp. 288-295, 2012. S. J. Lu, J. H. Chung, and S. A. Velinsky, “Human-robot collision detection and identification based on wrist and base force/torque sensors,” Proc. of the IEEE Int. Conf. on Robotics and Automation, pp. 3796-3801, 2005. A. D. Santis, B. Siciliano, A. D. Luca, and A. Bicchi, “An atlas of physical human–robot interaction,” Mechanism and Machine Theory, Vol.43, No.3, pp. 253-270, 2007. S. Haddadin, A. Albu-Schäffer, and G. Hirzinger, “Requirements for safe robots: Measurements, analysis and new insight,” The Int. J. of Robotics Research, Vol.28, No.11-12, pp. 1507-1527, 2009. V. J. Lumelsky and E. Cheung, “Real-time collision avoidance in teleoperated whole-sensitive robot arm manipulator,” IEEE Trans. on Systems, Man, and Cybernetics, Vol.23, No.1, pp. 194-203, 1993. A. Cirillo, P. Cirillo, and S. Pirozzi, “A modular and low-cost artificial skin for robotic applications,” Proc. of the IEEE/RAS-EMBS Int. Conf. on Biomedical Robotics and Biomechatronics, pp. 961-966, 2012. E. Magrini, F. Flacco, and A. D. Luca, “Estimation of contact forces using a virtual force sensor,” Proc. IEEE/RSJ Int. Conf. Intelligent Robots and Systems, pp. 2126-2133, 2014. S. Kuhn and D. Henrich, “Fast vision-based minimum distance determination between known and unknown objects,” Proc. IEEE/RSJ Int. Conf. Intelligent Robots and Systems, pp. 2186-2191, 2007. S. Lu, J. H. Chung, and S. A. Velinsky, “Human-robot interaction detection: a wrist and base force/torque sensors approach,” Robotics, Vol.24, pp. 419-427, 2006. F. Ficuciello, A. Romano, L. Villani, and B. Siciliano, “Cartesian impedance control of redundant manipulators for human-robot co-manipulation,” Proc. IEEE/RSJ Int. Conf. Intelligent Robots and Systems, pp. 2120-2125, 2014. A. AlbuSchäffer, S. Haddadin, Ch. Ott, A. Stemmer, T. Wimböck, and G. Hirzinger, “The DLR lightweight robot – design and control concepts for robots in human environments,” Industrial Robot and Int. J., Vol.34, pp. 376-385, 2007. F. Dimeas, L. D. Avendaño-Valenci, and N. A. Aspragathos, “Robot collision detection based on fuzzy identification and time series modelling,” Robotics, Vol.33, No.9, pp. 1886-1898, 2014. S. Morinaga and K. Kosuge, “Compliant motion control of manipulator’s redundant dof based on model-based collision detection system,” Proc. of the IEEE Int. Conf. on Robotics and Automation, pp. 5212-5217, 2004. A. D. Luca and L. Ferrajoli, “Exploiting robot redundancy in collision detection and reaction,” Proc. IEEE/RSJ Int. Conf. Intelligent Robots and Systems, pp. 3299-3305, 2008. S. Morinaga and K. Kosuge, “Collision detection system for manipulator based on adaptive impedance control law,” Proc. of the IEEE Int. Conf. on Robotics and Automation, pp. 1080-1085, 2003. A. D. Luca and R. Mattone, “Sensorless robot collision detection and hybrid force/motion control,” Proc. of the IEEE Int. Conf. on Robotics and Automation, pp. 999-1004, 2005. A. D. Luca, A. Albu-Schaffer, and S. Haddadin, “Collision detection and safe reaction with the DLR-III lightweight robot arm,” Proc. of the IEEE Int. Conf. on Robotics and Automation, pp. 1623-1630, 2006. C. D. Persis and A. Isidori, “A differential-geometric approach to nonlinear fault detection and isolation,” IEEE Trans. on Automatic Control, Vol.46, No.6, pp. 853-865, 2001. T. Yuksel and A. Sezgin, “Fault detection and isolation for robot manipulators using ANFIS and wavelet,” 2008 IEEE 16th Signal Processing, Communication and Applications Conf., pp. 1-4, 2008. N. Meskin and K. Khorasani, “Actuator fault detection and isolation for a network of a network of unmanned vehicles,” IEEE Trans. on Automatic Control, Vol.54, No.4, pp. 835-840, 2009. W. Dixon, I. D. Walker, D. M. Dawson, and J. P. Hartranft, “Fault detection for robot manipulators with parametric uncertainty: a prediction error based approach,” IEEE Trans. on Robotics and Automation, Vol.16, No.6, pp. 689-699, 2000. N. Likar and L. Žlajpah, “External joint torque-based estimation of contact information,” The Int. J. of Advanced Robotic Systems, Vol.11, pp.1-11, 2014. T. Matsurnoto and K. Kosuge, “Collision detection of manipulator based on adaptive control law,” Proc. IEEE/ASME Int. Conf. Advanced Intelligent Mechatronics, pp. 177-182, 2001. 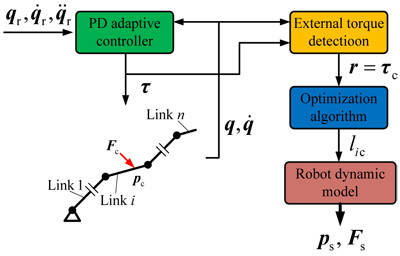 G. Dongyuan and J. Shousheng, “Self-Adaptive PD Control of Robot Manipulator,” Proc. of the Eighth ACIS Int. Conf. on Software Engineering, Artificial Intelligence, Networking, and Parallel/Distributed Computing, Vol.1, pp. 605-610, 2007. F. D’Ippolito, F. Alonge, and E. Cucco, “Contact estimation in robot interaction,” The Int. J. of Advanced Robotic Systems, Vol.11, No.Z2, pp. 1-10, 2014. L. Žlajpah, “Simulation of n-r planar manipulators,” Simulation Practice and Theory, Vol.6, No.3, pp. 305-321, 1998. L. Kun, L. Shizhong, and W. Baoxiang, “Research of the Direct Teaching System Based on Universal Robot,” Science Technology and Engineering, Vol.15, No.28, pp. 22-26, 2015.